Nino Schurter’s Scott Ransom gets put through distinctly different paces than his XC bike. Olympic Champion Nino Schurter spends 95% of his time training or racing on his cross-country bike. But like all athletes at his level, the 7-time World Champion likes to escape from his busy schedule in the off-season and to spend time with family and friends somewhere remote. Here is why. 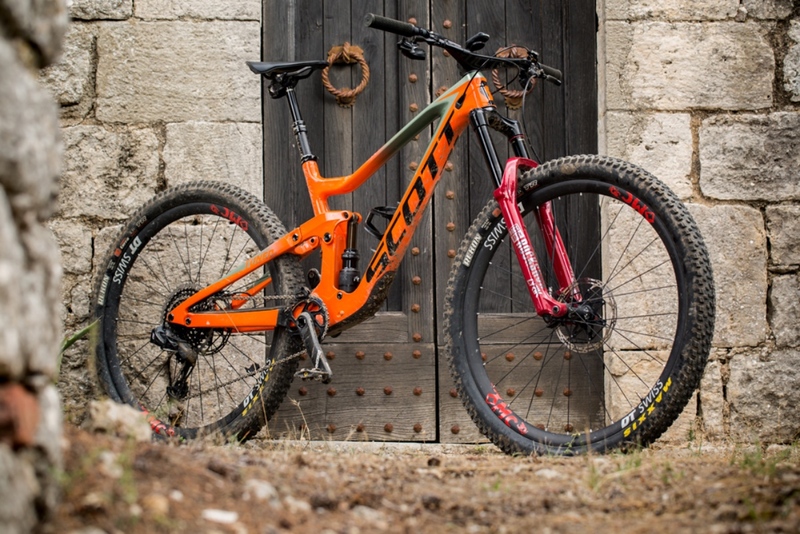 Nino Schurter’s Scott Ransom — a thing of trail shredding beauty. The Ransom was my first freeride bike and I experienced many great tours and races with it. I even won one of the first Enduro races in Flims. The Ransom was a pioneer in this segment. I was really looking forward to the new edition. No doubts, it kept what it promised. Of course Nino Schurter’s Scott Ransom is tricked out with all the latest and greatest components. In the past off season, I only rode the Scott Ransom, no other bike. If I were not an XC racer, and if I could only own one single bike, I think I would buy a Ransom. It’s the kind of bike that gives you both freedom and fun, with this bike you’ll climb to places which would never be accessible plus every trail feels like flow. It climbs so incredibly well for a 170mm bike and on the downs it simply rules. 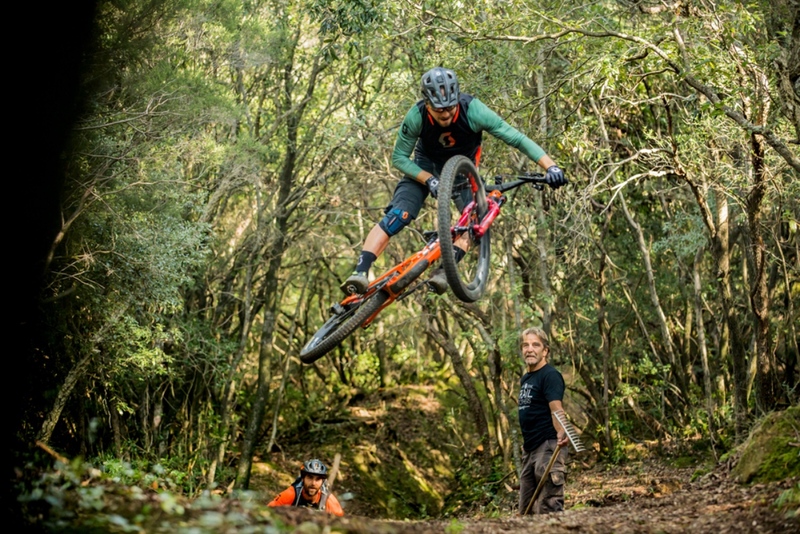 I’ve never ridden an enduro bike which is capable like this one. 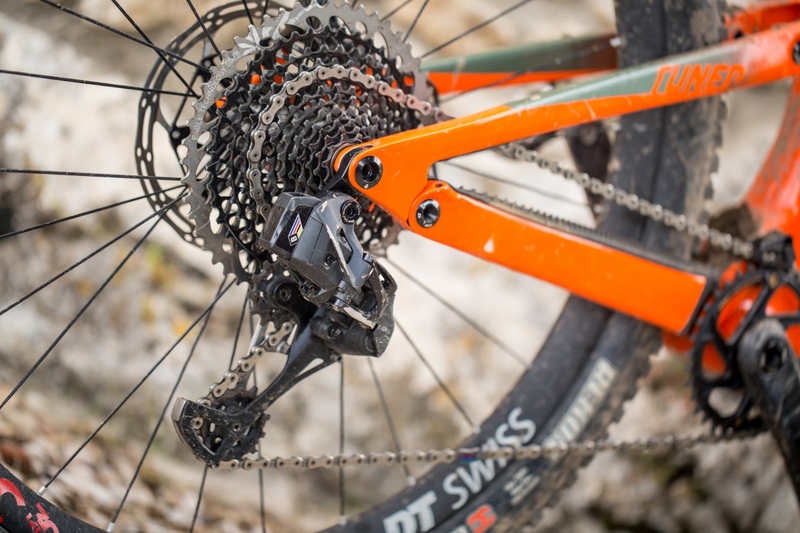 Nino Schurter’s Scott Ransom is outfitted with SRAM’s next e-shifting wireless drivetrain. 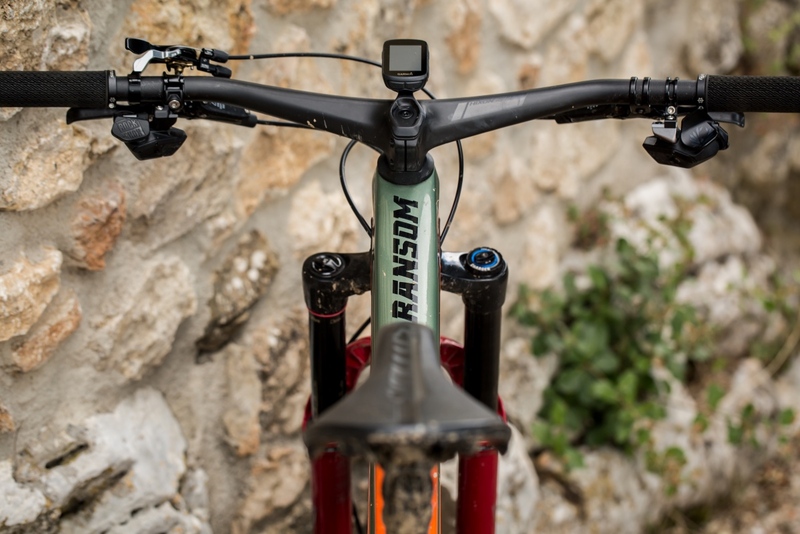 Electronic shifting and an E-dropper post: Your Ransom set-up ticks all the boxes. What’s your impression of the move to electronic components? The advantages don’t seem so dramatic at first sight, but once you’ve ridden it for a long time, you don’t want to miss it anymore. Every activity always feels the same and that feels extremely safe and comfortable. Basically, you can focus much more on the basics and ride even harder. 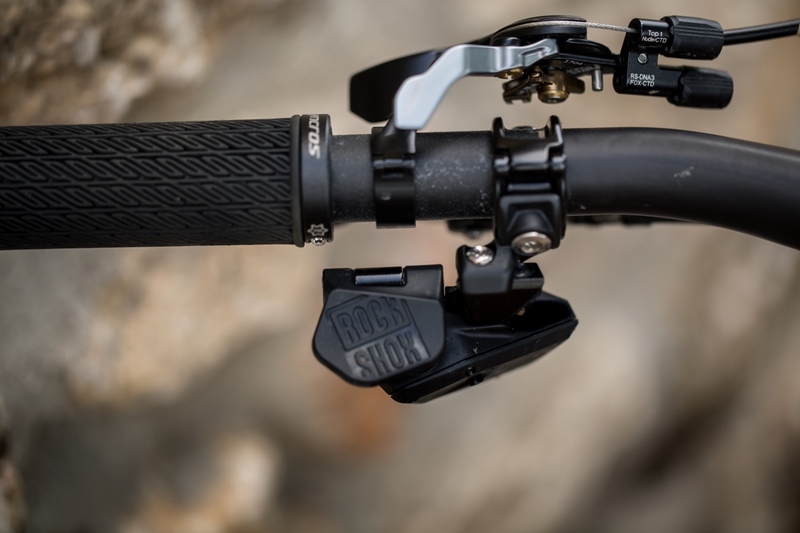 No pesky routing issues for the RockShox dropper post on Nino Schurter’s Scott Ransom. 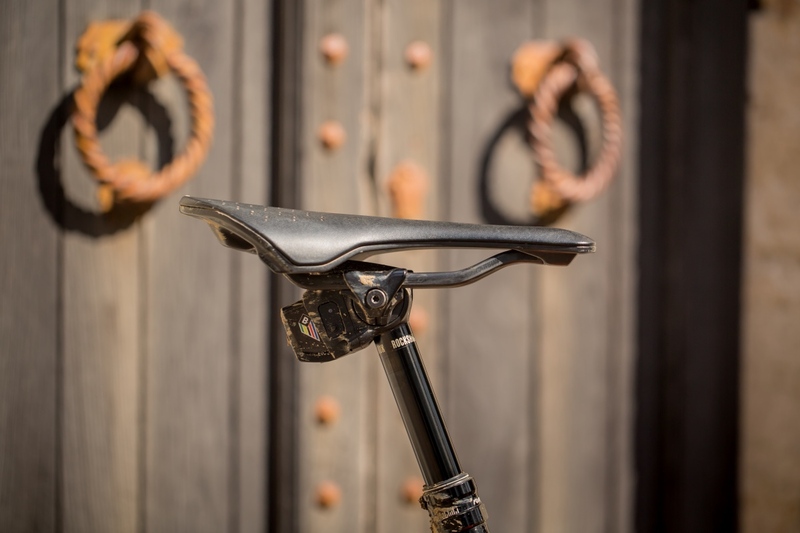 Would you consider using an E-dropper post in the World Cup? Yes, certainly. Not in all races but mostly when there are courses with difficult conditions. The Set-up of the E-dropper and the removal is now super easy, so we can change quickly. Nino Schurter’s Scott Ransom’s control center. To learn more about Nino’s offseason activities, head to www.scott-sports.com.